What a great day! We went to the Richard Petty Driving Experience for the free Annual Passholder drive-along (today was the last day). 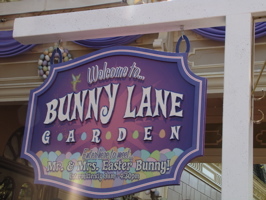 It was so much fun, and I plan to have a full report on that by Friday. 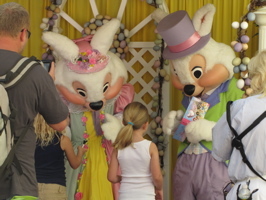 We stopped afterward at the Magic Kingdom, expecting to just pop in – but instead, we checked out everything new and took photos and video of the Easter Bunny and Mrs. Bunny (below left and right).